Innate Intelligence – a Chiropractic principle that supports your overall health and well-being! When your life began, there were only two cells that came together to be ONE. Have you ever wondered how each cell knew where it was supposed to go? How, once a cell divided to become two new cells, that one of them knew it was supposed to differentiate into a heart cell, and the other was destined to become a lung cell? Or how once all these individual cells grew and divided, that they were able to remain coordinated, with billions of cellular interactions taking place every second? How can all this be accomplished without you needing to be aware of any of it? 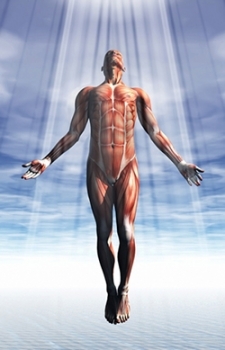 How does Innate Intelligence relate to Chiropractic? Universal and Innate Intelligence, in and of themselves, are considered perfect creations. However, once this intelligence has been injected into a physical system, it is unfortunately subject to the imperfect nature of that system. Such is the destiny of Innate Intelligence in the human body. Wherever there is a disruption of this life energy in the body, imperfection is expressed, and dis-ease can result. Chiropractic is the only health care profession that has, as its central purpose, the identification and removal of vertebral subluxations from the spine in order to restore our natural state of ease and well-being. Anyone who has experienced a Chiropractic adjustment can attest to the wide range of benefits that Chiropractic provides. Chiropractic adjustments not only ease your pain and suffering by taking the pressure off joints and nerves – they promote wellness by facilitating the flow of Innate Intelligence!